This study explains the causes of conflict in this volatile region between Arab and Jew and Eastern and Western cultures. Our free booklet deals not only with the past and present but with the future as prophesied by inspired writers more than 2000 years ago. Present conflicts cannot be understood without putting them into their historical context and recognising the modern influences fanning those historical flames. 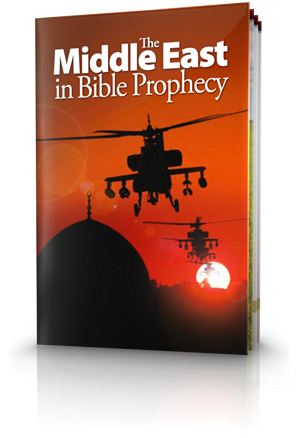 Learn the astounding story of the past, present and future of the Middle East that was laid out thousands of years ago within Bible prophecy. 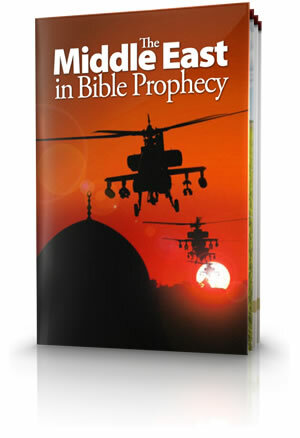 You need to understand what is prophesied to yet happen in the Middle East. It's impossible to understand the present Middle East without a knowledge of the three great religions that emanate from the area—Judaism, Christianity and Islam. God can reveal the future. Nowhere is this more evident than in the remarkable prophecies of what would happen to Abraham's descendants through Jacob's offspring, the 12 tribes of Israel. Daniel's book prophesied events fulfilled many centuries ago as well as major events yet to come. It reveals a history of the region, written in advance, from Daniel's time right up to the return of Jesus Christ. The Arab religious landscape was to change dramatically with the prophet Muhammad and the religion he founded, Islam. By the time the prophet Muhammad was preaching the tenets of the new Islamic religion, the Jews had not had a state for some five centuries. For hundreds of years the Arabs did not have a government of their own. One of the most significant developments in the region following the Treaty of Versailles ending World War I was rising Arab nationalism. Arabs call the Crusades al-Salibiyyah. The term is highly emotional to them, reminding them of European atrocities committed during the 200-year-long campaign to bring the Holy Land under Catholic control. On Feb. 23, 1998, the London-based Arabic-language newspaper Al-Quds al-Arabi published a piece titled "Declaration of the World Islamic Front for Jihad Against the Jews and the Crusaders." In spite of the best efforts of the players in the current Middle East peace process, today the Arab and Jewish nations still have difficulty coexisting peacefully. "Why Do People Hate Us So Much?" Respect and appreciation for America are not as great as they were before. The Bible helps us understand this change in America's fortunes. Jerusalem remains the most contested city on earth, having fallen to invading forces more than 20 times throughout its recorded history. Psalm 83 contains a prophecy of many Middle Eastern nations that appears to be as yet unfulfilled and to possibly tie in with end-time events. Why does God reveal the future? Why does He tell us what is coming? One crucial reason is so we can see the need to change. Many Bible prophecies leave us in no doubt that increasingly cataclysmic events will occur before God's direct intervention in human affairs. The crucial question is, 'When?'. 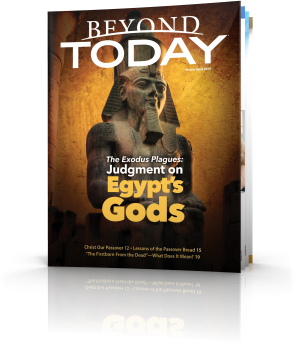 In this booklet we examine exactly what Jesus Christ, His apostles and the prophets of old really said about the perilous days they referred to as 'the time of the end'. Thank you for your Godly and good work. I too am writing and it is of importance to look into the work of others in forming my own conclusions. Your insights are appreciated.